Mother, wife, author, blogger — meet Lisa Hendey, the woman responsible for Catholicmom.com and The Handbook for Catholic Moms, and frequent contributor to Faith&Family. 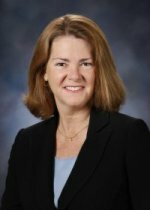 I had been thinking about writing a book for a few years – we’ve had a very active Book Club on CatholicMom.com for ten years now, and that brought me into contact with many Catholic authors. I always desired the experience of writing a book, but frankly I lacked the confidence and the time. Busy moms will understand how daunting the thought of finding any quiet time to write can be. 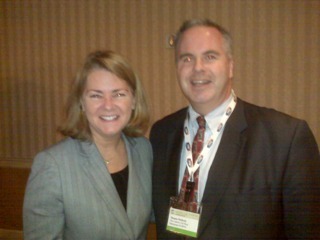 But through the website I came into contact with Tom Grady, the head of my publisher Ave Maria Press. Tom and I discussed the possibility of creating a book that would serve as a companion to the website. I loved that conversation and felt inspired to take on the challenge. I’m so happy I did! It’s been an amazing experience, and I think we’ve been able to create a resource that can help and support many. Even though your book is written as a handbook for Catholic Moms, who else could benefit from reading your book? Honestly, some of the best feedback I’ve had on the book has come from men. Of course, they won’t admit to it if you ask them! The book is divided into four sections – heart, mind, body and soul. In each section, I encourage the reader to invest the time, energy and effort to care for herself so that she can better care for her family, her community and our universal Church. So many of the aspects of the book are relevant to anyone who’s looking to grow in faith and to develop themselves personally. In the book, you discuss Catholic marriage commitments. In your opinion, why is it so difficult for men and women to commit to anything today? I think it’s a few things – first of all, we’re living in the “i” generation – information comes in small bits from so many angles. We’re connected to so many things that sometimes it can be difficult to fully connect with any one thing – or even with any one person. “Friend” has taken on a whole new context, and the way wecommunicate with one another is vastly different than it was in the past. I also fear that we are raising a generation who may not fully comprehend the sacramental nature of marriage. We parents really have to fully commit ourselves to our domestic churches – which means that we accept primary responsibility for the faith formation of our children, including modeling sacramental marriage for them. As parents/mentors/friends/employers and employees/members of God’s family — with all the roles we assume throughout the day, many of us seem to have frayed edges and appear over-worked and stressed. What is your “recipe for prioritizing” your life? What works for you? This is so true! We’re pulled in so many different directions! My own father, who always begins his day with quiet prayer time and physical fitness, modeled my “recipe” for me. I try to begin and end my day with prayer. I do my very best to be physically active most days of the week. I fully throw myself into the work I do, because I love it with all my heart, but my family is my top priority after my relationship with God. So some days that means not getting through most items on the “to do” list – but work will wait and my time with my family is too precious to put on hold. It’s always an incredibly difficult balancing act, which makes prayer an even more component. envision this community as it has unfolded over the years? Does it match with what your first pictured, how has it differed? And what is next for Lisa Hendey? I never could have imagined the ways in which the CatholicMom.com community would grow worldwide. It’s truly amazing. We now feature over one hundred contributors. Our resources are downloaded in over 110 countries around the world. We have the weekly Catholic Moments podcast and have begun video initiatives. It’s all a work of the Holy Spirit and a very committed team of volunteers who have really become my “online parish”. I simply sit back and marvel when I see what my little “hobby” has grown into. But God is good, and He definitely has a plan for this apostolate, so He continues to provide what we need. What’s next for me? I am at work on a second book – a devotional based upon the lives of the saints. I’m also enjoying the opportunities I’m having to speak at parishes, with faith groups and at conferences. My husband and I recently launched our first son off to college, but I still have a teenager in my home so being a good wife and mom continues to be my highest professional priority. Thanks for the opportunity to share my thoughts with your readers! Previous ArticleBig Church Day Out 2011 lineup announced! What a great interview! I’m a huge fan of catholicmom.com, and it’s nice to read more about the creator. Thanks for this! Nicole, thank you. We too admire the work Lisa has done, and we are big fans of Catholic Mom too! Quite the inspiration. Saw this on your twitter account. great read. Thank you so much for your kind support of my book and website. It was an honor to be interviewed for your blog! Loved the interview. 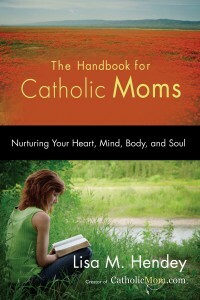 The book is awesome I highly suggest that all moms read it not just Catholic ones, all moms. Lisa covers many different issues of today’s modern moms. Thanks Lisa for taking the time to write it and share your wisdom with so many moms. We’re so glad you enjoyed it, Lori. Lisa is involved in so many wonderful projects, we probably could have done a second interview and still not scratched the surface. We are always looking for great interviews, if you have any suggestions!